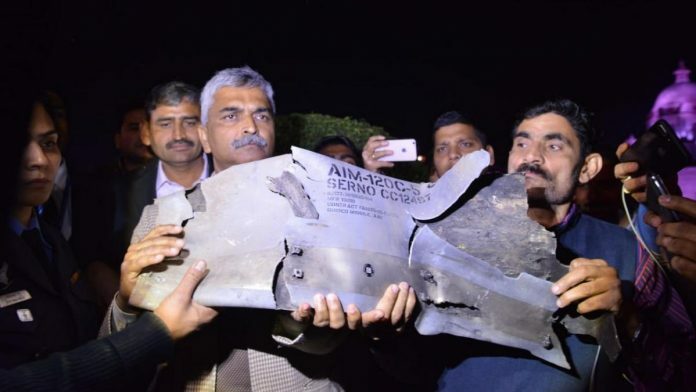 The Indian Air Force displayed evidence to prove that Pakistan deployed US-manufactured F-16 fighter jets during an aerial raid targeting Indian military installations. Washington: The US is “very closely” following the reports that Pakistan misused American-made F-16 fighter jets against India in the recent aerial confrontation between their air forces, according to a top State Department official. “We’ve seen those reports and we’re following that issue very closely,” US State Department Deputy Spokesperson Robert Palladino told reporters at his biweekly news conference on Tuesday. “I can’t confirm anything, but as a matter of policy, we don’t publicly comment on the contents of bilateral agreements that we have in this regard involving US defence technologies nor the communications that we have with other countries about that. “So, we’re taking a look and we’re going to continue to take a look. I’m going to leave it at that,” Palladino said. The AMRAAM missiles allow a fighter pilot to target an enemy aircraft that is beyond visual range, in day or night, and in all-weather conditions. They have an autonomous guidance capability, which allows the pilot to manoeuvre immediately after the missile’s launch. Tensions between India and Pakistan flared up after a suicide bomber of Pakistan-based Jaish-e-Mohammed killed 40 Central Reserve Police Force personnel in Kashmir’s Pulwama district on February 14.